Custom Built Decks is something we take a lot of pride in! It’s time to enjoy the outdoors in comfort and style! A deck or gazebo is one of the most useful additions to your home that your whole family will enjoy. They offer a perfect escape while providing extra space for social gatherings. When you purchased your home, you probably envisioned enjoying your backyard with family and friends. Imagine all the barbeques and entertaining you could do with one of our Custom Built Decks. 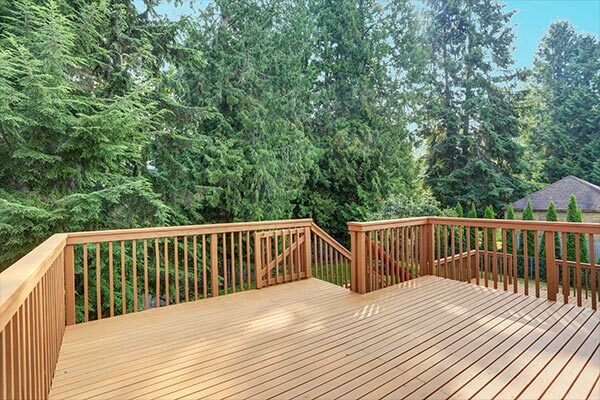 Regardless of the reason, we can build beautiful Custom Built Decks, using composite or traditional wood materials in a variety of grades and colors. Whether you want a charming pergola, gazebo, or a distinctive outdoor entertainment including a pool-side kitchen, outdoor structures will extend the perimeter of your home into the outdoors and add virtual square-footage onto your home. If you can dream it, Craftsman Home Remodeling can create it. Exterior home remodeling can offer shelter and enclosure in your landscape. A shade structure can give you a nice place to enjoy a cool breeze and a cold beverage, or an enclosed room to get you out of the rain or away from insects. We will create outdoor living that reflects your personal style while considering how you want your entertainment area to fit into the décor of your home. We create a Custom Built Decks, porches, arbors, pergolas, trellises, or even an outdoor bar – just to name a few – to transform your outdoor-living area into your favorite room of the house. If you only need Deck Repair, we can gladly help with that as well. CALL FOR ALL YOUR HOME REMODELING NEEDS!